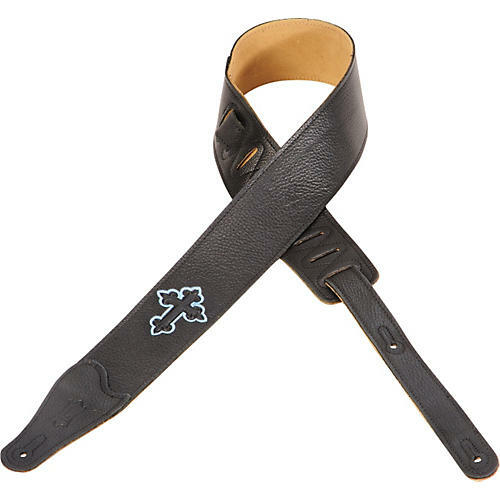 Levy's 2½" garment leather guitar strap with suede backing. Embossed and embroidered Christian cross design. Adjustable from 42" to 55". Get comfort and style. Order today.